24×7 cPanel Server Management with 365hostingsupport.com! Management of the server and its services is the base of hosting industries, single service down can create multiple issues and increasing the bad reviews of the hosting company. Management of Server involves multiple things like monitoring, trapping spammers & abuser and suspension against AUP etc, so to perform these tasks hosting companies have to maintain the dedicated staff and need to pay better salary for them. 365hostingsupport now made things easier and has started providing the outsource support to companies which are interested to give their support services to remote logins and it can be done at affordable prizes starting from $55/month. cPanel Server Management Plan provides you unlimited admin work on Cpanel dedicated or shared hosting servers. Let your servers be CentOS 5, 6, Red hat Enterprise editions or Fedora our system admins are available 24×7 to provide you top class services at the lowest prices. Outsourced Web Hosting Support Provider’s! Its really important thing to provide the quality support along with the hosting services and sometimes its really gets challenging to handle such huge pressure of Server Management, support tickets and technical chats, so its indirectly harming your business and customers. 365hostingsupport is now understanding such problems of hosting providers and has started to provide the affordable outsource hosting support. Our mission at 365 hosting Support is to provide high quality Linux and Windows server management, network infrastructure management, and server and network support services at affordable rates to all our clients.Whether you are running a competitive web hosting business or providing servers, We offer a wide range of technical support services that work in favour of your business. Services like Server Management, Server Monitoring, Server Security and even Server Optimizations are all designed to ensure your business operates smoothly without any problems. 365hostingsupport’s is already dealing with the multiple clients and having smart team of Engineer’s who are committed to help you 24*7*365. WordPress Upgrade Service available with 365hostingsupport! If you using WordPress to build your website/blog, keeping your installation of WordPress up to date is important because it insures your website is not hacked through a known vulnerability in WordPress. Due to the open source and hacking through a known vulnerability in WordPress its always a good practice to update your WordPress and keep your self in safer side. It might be the possibility that due to the custom theme or plugin it crash your wordpress website while upgrade and put you in worst situation. If your WordPress installation has already been hacked we can clean it up and then upgrade it. In addition to making sure your website is secure, new releases of WordPress add new features and functionality. – Perform database check and performance test. We do provide ontime upgrade service as well as Subscription service for ongoing upgrades of WordPress. In most hosting environments minor upgrades (e.g. 3.7 to 3.7.1) will occur automatically and we just need to check that it has occurred properly. If something does go wrong with that, we will fix it. We will do that within a day of the new version being released. Cagefs setup and management available with 365hostingsupport! CageFS is a kernel level security which enable the separate environment for user level and protect from been hacked on different level such as symbolic link, openbase dir etc. More on CageFS is a classified file system and a set of tools to contain each user in its own ‘cage’. Each customer will have its own fully functional CageFS, with all the system files, tools, etc. Why You need CageFS ? – No presence of other users. 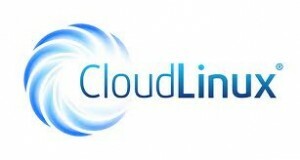 We have the domain experts which will install and setup the cloudlinux + cageFS security on your server without interrupting your applications and server settings. – Set the System environment to help and avoid back-doors. If you already running the CageFS , please note that the default setting may not protect you with the internet threads. It need to be optimize and secure as per the requirement. We all do it for you. Contact us for Support or emergency support at sales@365hostingsupport.com. Server Migration Services with 365hostingSupport ! When its come to migrate your website/server, you must be getting scare thinking that will your application/sites will work on new server, will it be there any data loss. Will I loss my emails, dynamic website data , orders coming in each mins and more on DNS propagation will take 24-48 hours to resolve your DNS from new server. How 365hostingSupport will help you with Server Migration? Creates mirror copy of your existing server. Install/copy custom applications if any. Yes, what above mention is correct. We have developed custom application which gives you all above feature and get the risk free migration. Many of customers has used this service and got amazed with it. So why not try it, if your data can be migrate in timely manner and by paying affordable price for your valued data. Fed up with Email bounces because your IP address is blacklisted ? Running Shared/dedicated/VPS and suddenly found emails not been delivered to receivers inbox but in SPAMBOX or getting bounce because your IP is blacklisted as spammer IP ? How we can help you to fix this? We have Developed our own architecture and setting which is compatible with widely used control panels like cpanel/plesk which not only reduce the All spamming activity but also build up the good IP reputation of your server. If you are in the bulk Email marketing this is the right place for you to get your server optimized to fulfil your requirements. We do have live team of support who can keep monitoring all email activities on your server and will build up your custom database which will be helping you to get less number of spam and also after period of time this will result to build your mail server IP reputation and delist your blocked IP from spam authority database. This service starts from analyzing your server for email activity , finding source of the spam. Apply the fix to stop the spammer activity. Close all ways of spammer to access your domain. Our custom antispam patch has been fully test on exim(cpanel) and qmail(plesk) which should keep you from your worries and let you work on your actual work. project rather than investing their valuable time on managing and fixing server related issues. This service enabled the door for you whenever you need our support, our technicians are there online to assist you. Does that make difference if your server is not in skill and secure hand? ..Does that matter if your data is not sure and managed properly? I am sure the answer is Of-course it does..Everyone want to have the safe data and proper management of the services that they are sailing/using Online. So what we do to help you? We understand the Importance of your Online Data and bound to shield them with our hundred of Skilled Admins (Magicians.. yes, I would love to call them as magicians). And how we do it ? We have developed lots of customized optimization and security over the period of last couple of years. Securing mount points (noexec, nosuid on /tmp & /dev/shm ) for hosting servers. and security level which ensure that the above server customization has ability to protect such attackers. 365hosting.com! Our mission at 365 hosting Support is to provide high quality Linux and Windows Server Management, network infrastructure management, and server and network support services at affordable rates to all our clients.Whether you are running a competitive web hosting business or providing servers, We offer a wide range of technical support services that work in favor of your business. Services like Server Management, Server Monitoring, Server Security and even Server Optimizations are all designed to ensure your business operates smoothly without any problems.